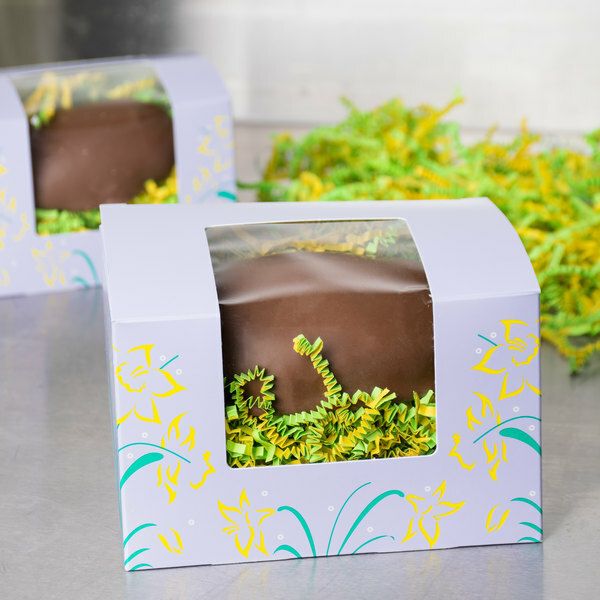 Showcase deliciously rich chocolate Easter eggs at your bakery, gift shop, candy boutique, or fudge shop with this 1 lb. window Easter egg box. 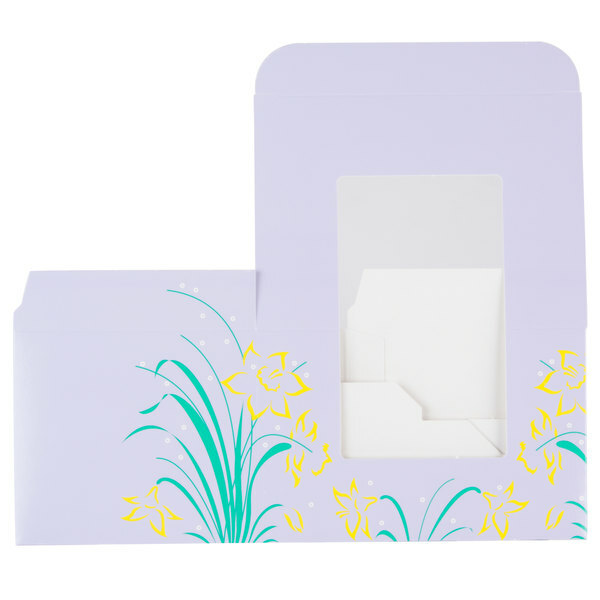 This beautiful lilac Easter egg candy box features a floral pattern that calls up images of warm Spring days and Easter egg hunts in the backyard. This eye-catching pattern is sure to attract your customers' attention and increase impulse sales! Before use, this box folds flat for compact storage in your busy establishment. Then when you are ready to use it, simple pop it open for quick and efficient use. 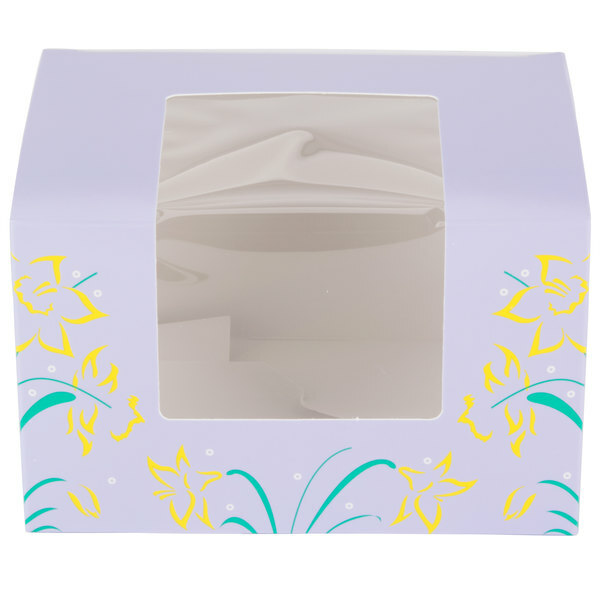 Plus, the Easter candy box's large, crystal clear window lets your customers see the quality and care that goes into every one of your delectable products. This box is very nice looking and a perfect fit for our one pound filled chocolate Easter eggs. The insert keeps the egg from shifting we suggest to get it as well!